Various sparrows in my Massachusetts yard. During the blizzard of Janary 12, 2011, the birds came around more than ever, hoping to find the feeders filled. 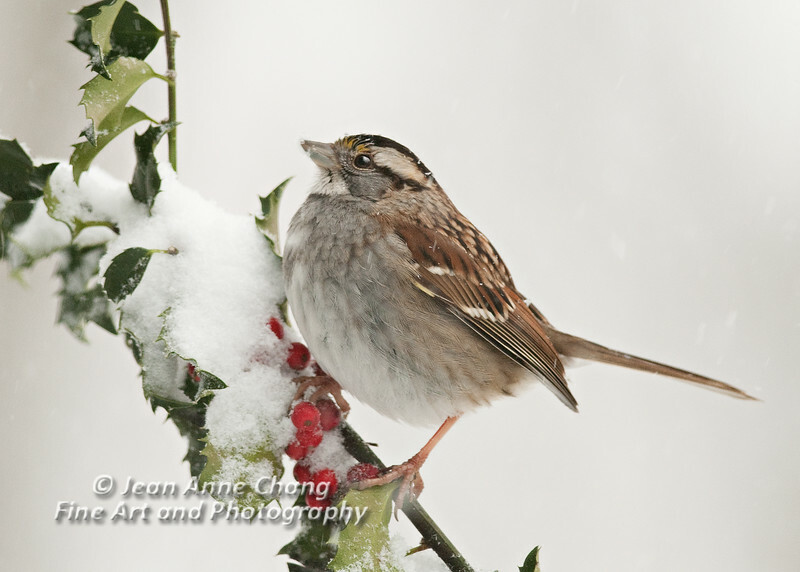 This sparrow sits on a holly branch waiting for the other birds to finish eating.